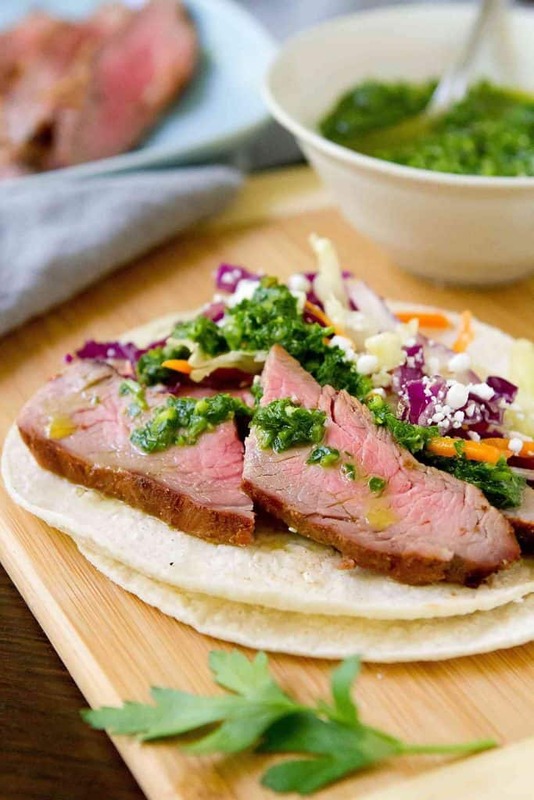 Taco Tuesday gets a whole new look with these Grilled Chimichurri Steak Tacos. The flavor of the garlicky herb sauce is to die for! Thank you to Saber Grills for helping me share this recipe with you. The first bite of flank steak I ever had is still emblazoned on my brain. I was a kid and we were having dinner at a friend’s house. Being a kid, I was too busy playing to bother watching what was going on in the kitchen or at the grill. All I knew was that when dinner was served, the most flavorful piece of meat I had ever eaten made its way onto my plate. I remember looking lovingly at our friend and anointing her queen of all the steaks. I later learned that she had marinated the steak and a simple mixture of soy sauce, rice vinegar, ginger and garlic. To this day, this is how I make flank steak 99% of the time. But for these grilled chimichurri steak tacos, I took the road less taken (at least for me). Instead of marinating the flank steak, I coated it in a homemade spice rub made of paprika, chipotle chili powder, cumin, oregano, garlic powder and salt. Chipotle chili powder adds a really nice smoky heat, but if you don’t have any or don’t feel like buying a bottle, feel free to substitute regular chili powder. The spice rub is just part of the reason why these steak tacos are so good. The rest of the credit goes to the chimichurri sauce. If chimichurri sauce is not something you’ve experienced before, you’re in for a treat. Hailing from Argentina, chimichurri is traditionally made from fresh parsley, fresh oregano, garlic, red wine vinegar, olive oil and a pinch of salt. 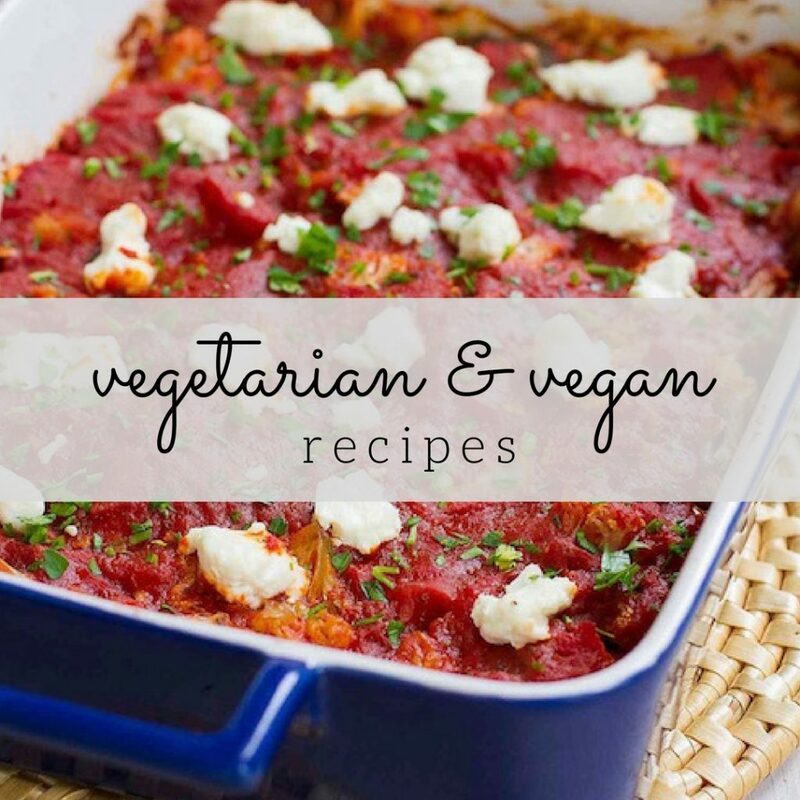 In this recipe, I whizzed everything up in the food processor, but mincing the parsley, oregano and garlic then mixing it with the other ingredients works just as well. Once the steak is grilled, be sure to let it rest for 10 minutes before slicing, otherwise all of the juices will run out of the steak. You want them to stay inside of the steak for a long as possible so that the meat will be juicier. Once everything is ready to go, assemble the tacos with a couple of slices of steak, some crunchy slaw and a healthy dollop of chimichurri sauce. Just so good. And since grilling season is kicking off, I have a surprise for you! I am joining a group of blogging friends to give away an amazing SABER Grill package. Truly. If you are the grill master at your house, you want one of these high-performance grills in your backyard. SABER Grills is a division of Char-Broil, which you’ve likely heard of – they’ve been making grills for a very long time! 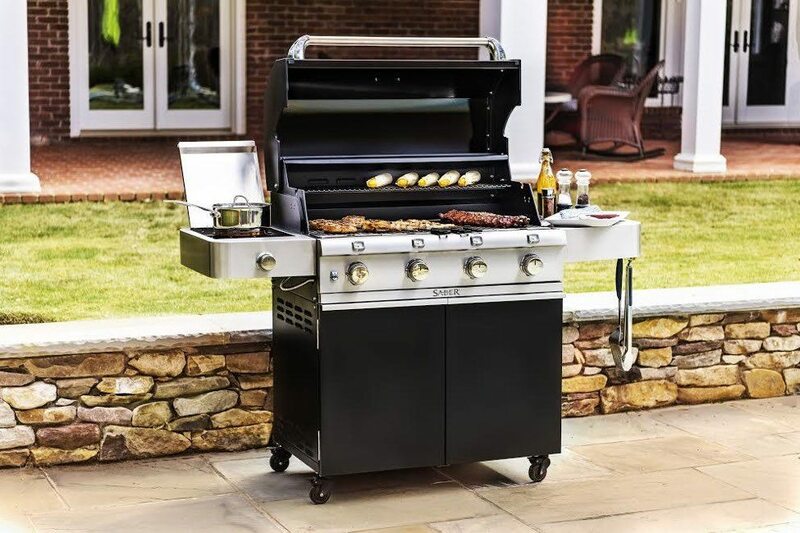 The line of SABER Grills includes 15 premium gas grills (that use an infrared cooking system, which uses 30% less propane than traditional gas grills. Oh yeah – and they heat form 0 to 700 degrees F in 10 minutes. What?! Even heat and no flare-ups help to produce the best results when you’re grilling up your favorite cut of meat. SABER Grills motto is “For the love of food” and they mean it! If you want to check out the SABER Grills in person, there are plenty of retailers (find a store here) The photo above shows the one of the SABER Cast Black Series grills, but they are also available in stainless steel. In a small bowl, stir together the paprika, ground oregano, chipotle chili powder, cumin, ½ teaspoon salt and garlic powder. Rub the spice mixture over both sides of the flank steak. Cover and refrigerate for at least 1 hour and up to 8 hours. Preheat the grill to medium-high heat. Brush the grate with oil. Grill the flank steak until desired doneness reached, about 5 minutes per side for medium rare (depends on thickness of steak). Transfer the steak to a cutting board and let rest for 10 minutes before slicing thinly. Heat the corn tortillas in the microwave for about 30 seconds. In a medium bowl, toss the cabbage with the lime juice and ¼ teaspoon salt. Divide the steak, cabbage and chimichurri sauce evenly between the 12 tortillas. If the tortillas start to break while eating the tacos, double up on the tortillas. 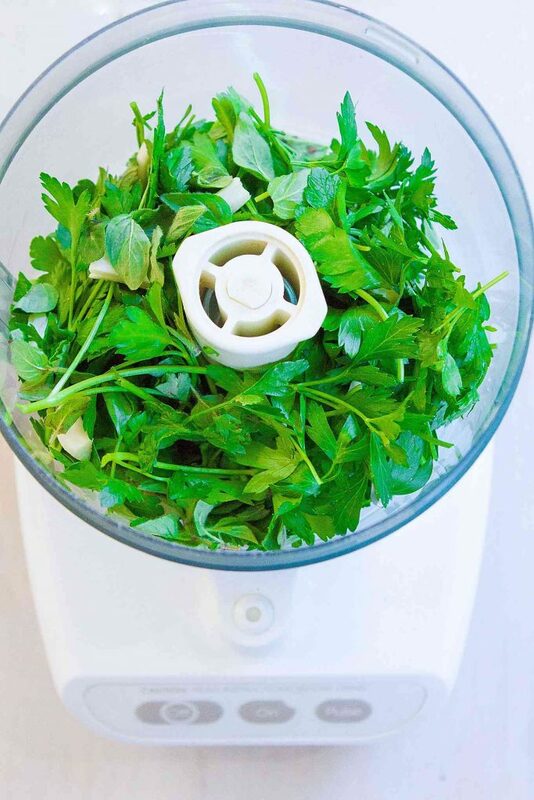 In a food processor, pulse the parsley, garlic, oregano, red wine vinegar and salt until the parsley is finely chopped, scraping down the sides as needed. Transfer to a bowl and stir in the olive oil. Disclosure: This post is sponsored by Saber Grills. All opinions are my own. This post contains links to my Amazon affiliate page. Any revenue made from sales through these links helps to support this blog. Thank you! 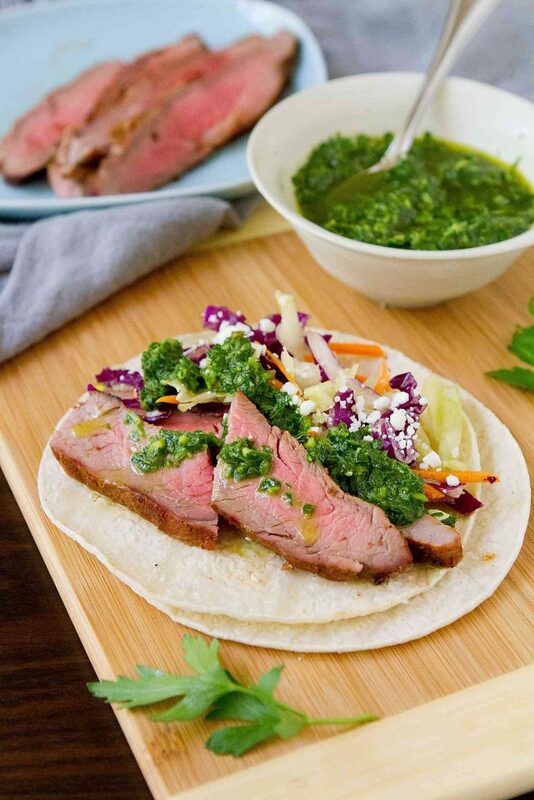 The chimichurri steak tacos sound delicious! I would love to try that recipe for my family. Can’t wait to make these!!! These made me super hungry. I might need an early dinner. Sounds so delicious! Will definitely try soon. That beef is so perfectly grilled! Looks incredible. And love the giveaway! I need to up my taco game! These look phenomenal! And the grill is amazing, too! Oh my goodness – I want to be your neighbor this summer! I’ll bring the steak so we can grill up these tacos! Woot woot! 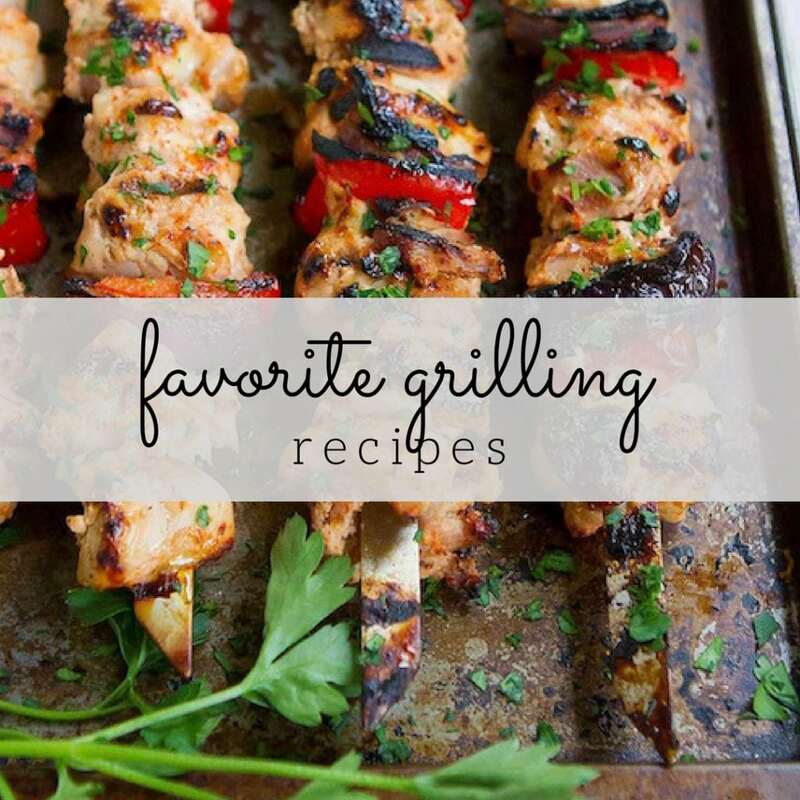 A healthy delicious recipe to add to my grilling repertoire AND fingers crossed to win the incredible grill package! Thank you for the chance! That steak looks like it’s grilled perfectly. YAY for grilling season!!!! That chimichurri! I’d put it on everything! Yes please!! These tacos sound so good and I think I would put the sauce on everything! I love this recipe. Chimichurri and steak are perfect together. What a cool giveaway. I’d love to add this grill to my collection. I think the recipe looks really good. The grill looks nice, too. Mmm chimichurri! And another way to make Taco Tuesday awesome. These are making my mouth water! Looks so delicious! What a great giveaway too!! I am going to make chimichurri taco steak this weekend. Thanks for the recipe. 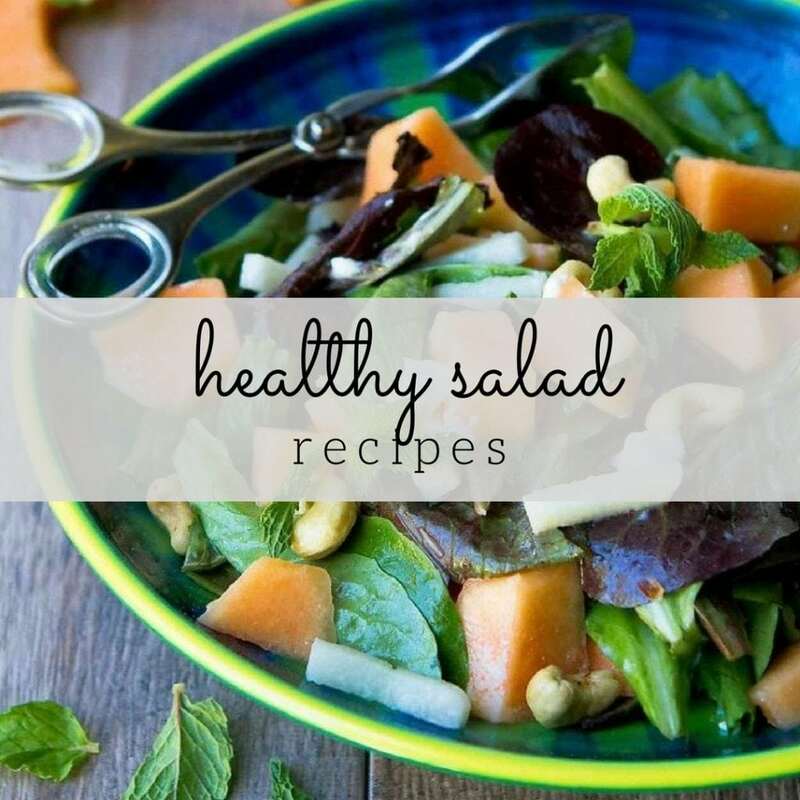 That looks delicious and so easy. I am going to try this. Our grill has been super problematic so far this summer, can’t wait to figure it out so we can taco it up!